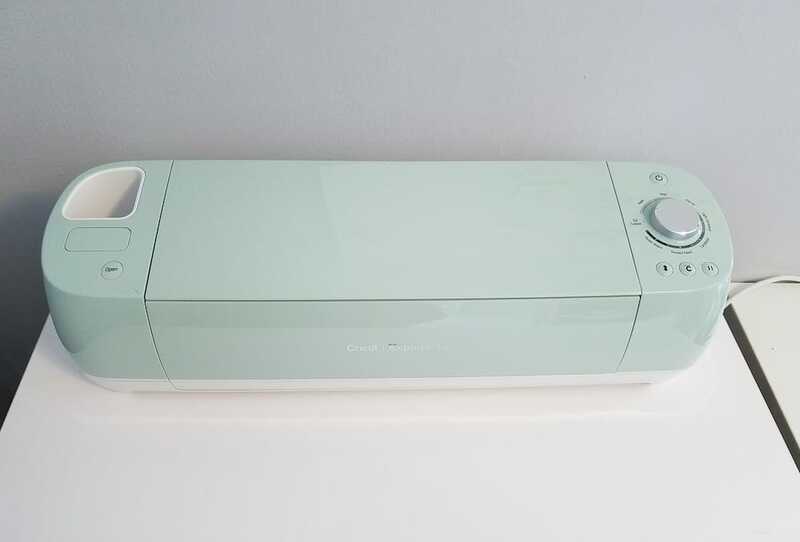 Cricut Explore Air 2 Review: Read This Before Spending Your Money! 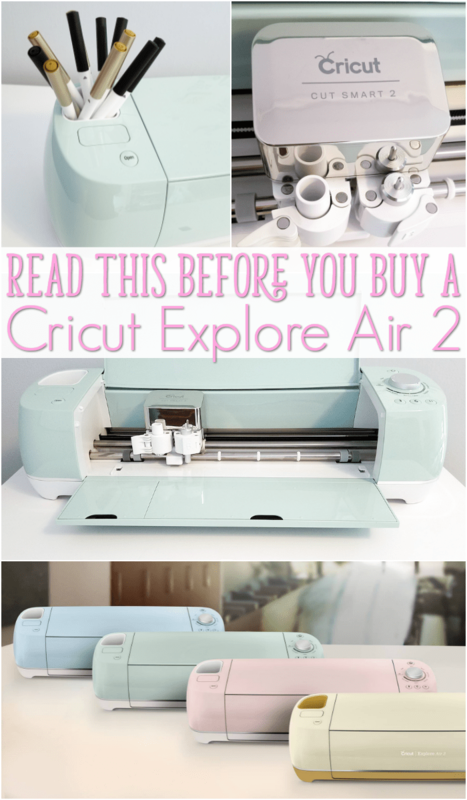 I've also included some great information from other Cricut Explore Air 2 reviews. Let's jump right in! A few weeks ago a tiny piece of my life changed. I became a first-time owner of a Cricut. Not just any crafting cutting machine. I became the owner of a Cricut Explore Air 2, the newest and fastest cutting machine available on the market. Do you need an introduction to cutting machines before reading any Cricut reviews? 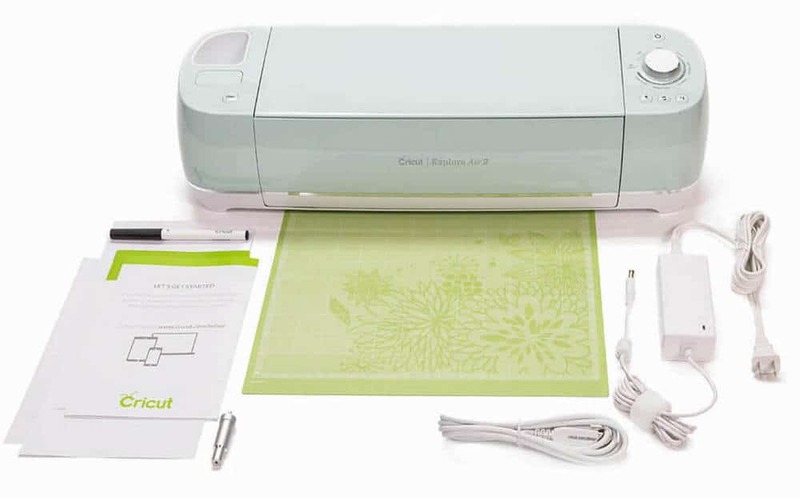 Read: What is a Cricut machine and What Does it Do? I'm entirely new to the world of smart cutting machines, so my Cricut Explore Air 2 review has a ton of information in it. Keep reading and I promise you'll find everything you need to know to decide if you need a Cricut! 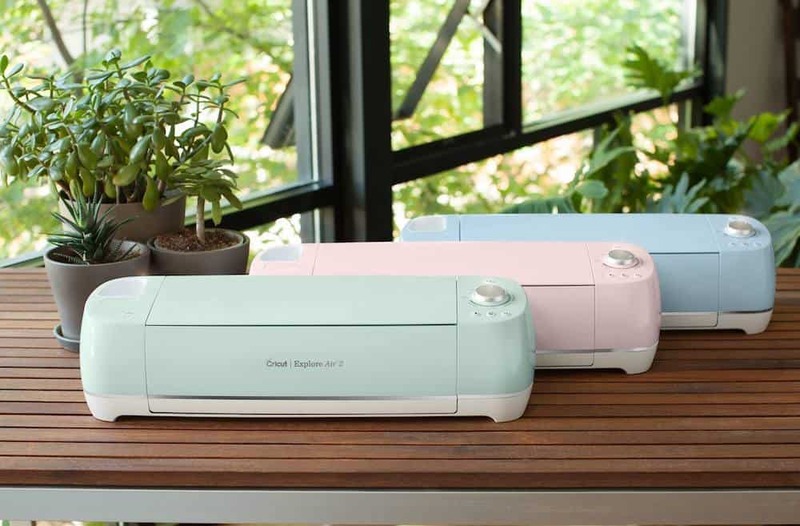 If you're asking yourself any of these questions: What are the key features of the Cricut Explore Air 2? or How does the new Cricut perform? or Do I really need a Cricut Explore Air 2? I was asking myself all of the same questions. Now I have the answers for everyone! Don't miss out! The Cricut Black Friday deals were strong, and you can see the Cricut Cyber Monday deals, too! Ready to shop? 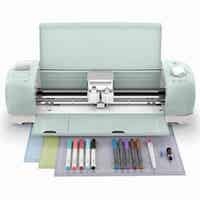 You can buy the machine by itself or save a bunch on various materials by buying a Cricut Explore Air 2 bundle! I received a custom bundle with my Cricut Explore Air 2 and I'm so happy I did. It would be a bit frustrating to get an exciting machine like a Cricut and then have to go out and buy all the materials separately. Plus, the bundles are a bargain! 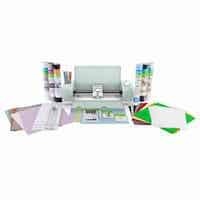 The sets that Cricut has put together gives you way more products, tools and accessories than you'd get if you spend that money on your own supplies. I'm being 100% honest when I say I'm new to machines like the Cricut. I had heard of the Cricut brand in the past, but I didn't even know what it did until a reader asked me about Cricut Explore Air 2 Cyber Monday prices. I wrote that post for her and I was amazed at everything the machine could do! I can assure you that all of these terms are referring to reviews for Cricut Explore Air 2 that I'm featuring in this article. If you have questions about the specific model or if it just doesn't seem like the same one, please leave a comment and I'll do my best to get you the details or you're looking for. Now, let's get to all the details and the actual review! Now that I have a Cricut Explore Air 2 of my own I have to admit: I don't know if I'm worthy of it! I have a lot of learning ahead of me, but thankfully, Cricut hooked me up with all the supplies I need for more than a few projects. Believe me, I felt more than a little spoiled after I opened the package with the Cricut Explore Air 2 in it, then opened the second box with everything else sent so I could start using the machine! I was feeling a bit overwhelmed while I was taking all that in. Then I opened the box for just the Cricut Explore Air 2 machine to see everything that was inside. 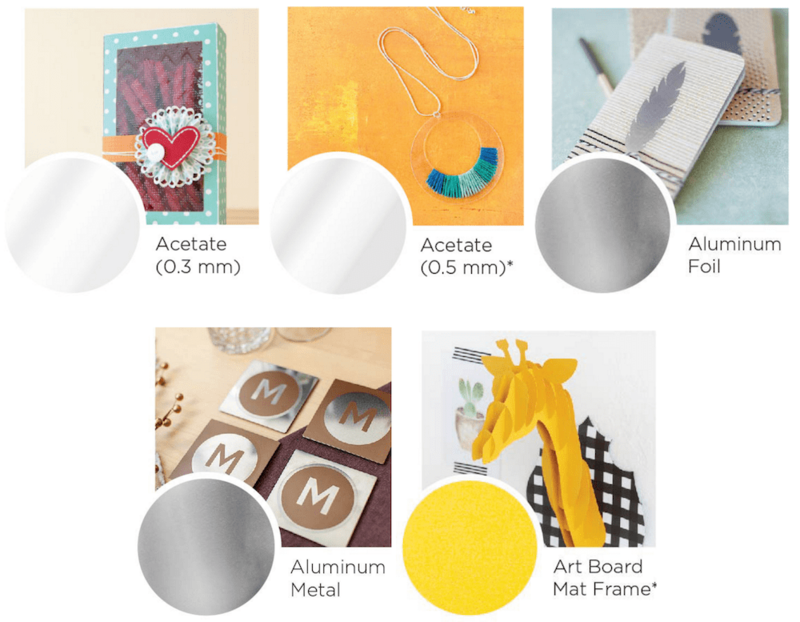 The blade, pen and cardstock sample are exactly what you need to create your first Cricut project. I love that I could try it out without diving into any other materials! 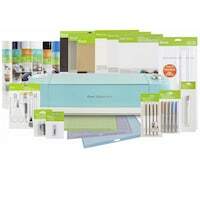 Even though the machine comes with a pen, cardstock and blade, I still highly recommend a bundle like the Cricut Explore Air 2 Machine + Everything Starter Set to ensure you have all the tools you need to start using your new Cricut right away. 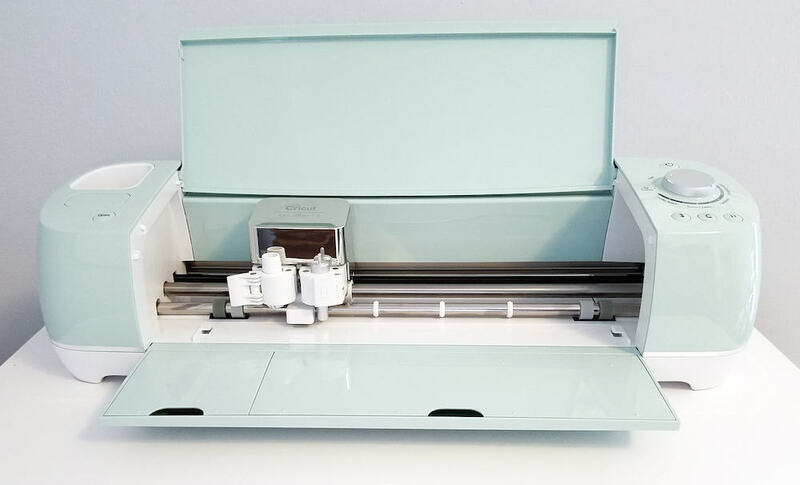 I received the mint green model of the Cricut Explore Air 2 – it's gorgeous! It's also been shown in pale blue and pale pink, but those aren't available right now. Still, both are beautiful and I'd love to see these colors in person. This Cricut has also been available in GOLD. I'm drooling…but I'm not feeling too envious. 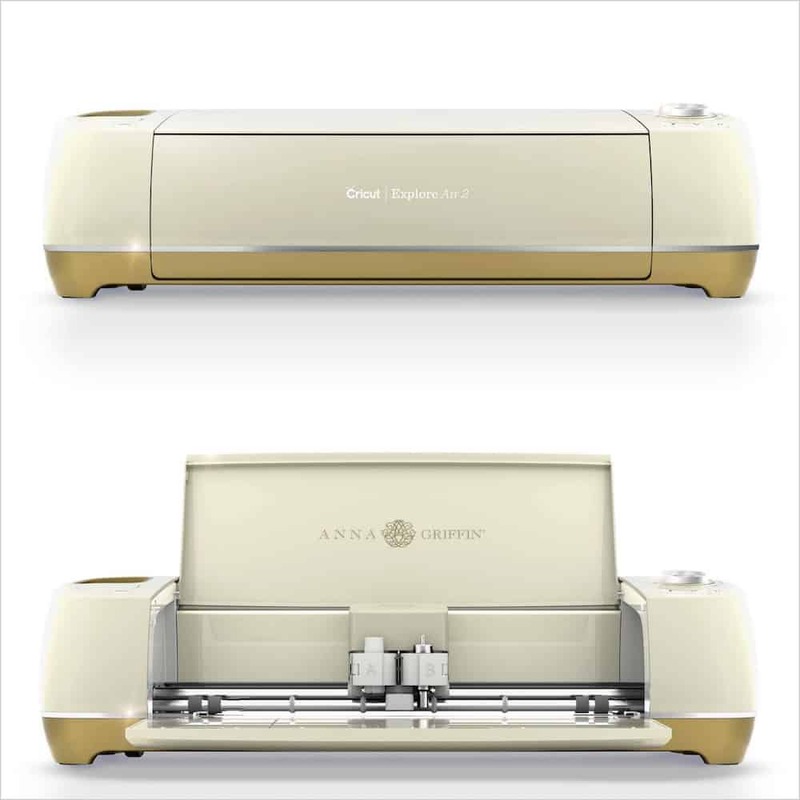 First, the Gold Cricut Explore Air 2 is identical to the one I have (aside from color). Second, it's not even available right now. There's no need to care about something I can't even have! I really wanted to get to know my Cricut before using it, so I pushed the buttons and lifted the levers to take in all the Cricut Explore Air 2's physical features. The control panel is on the outer right side of the machine. 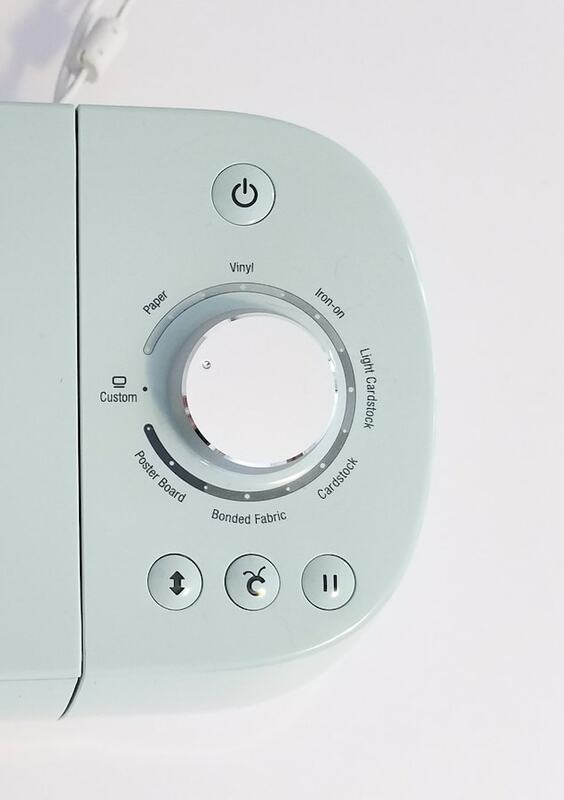 The control panel has a power button and Smart Set Dial, plus the Load, Go and Pause buttons. The outer left side has a small tool cup, Cricut cartridge port and the Open button. I love how clean and shiny all the mechanical components are in there! If you take a closer look at the slider on the inside you can see it has two round compartments. One of the clamps holds a blade that comes pre-installed. The one on the left is open and it doesn't need to be used. It's for optional accessories like Cricut pens and the Scoring tool. I had one little surprise when I was poking around the machine. The front door that lowers to open the machine doubles as a storage compartment! It's not huge, but it's perfect for stashing the essential tools you'll want to have right there when you're using your Cricut. I know this is the big question, especially for a papercrafting newbie: how does the Cricut Explore Air 2 work? The answer: I'm pretty sure the Cricut Explore Air 2 is MAGIC. As someone who's never been characterized as crafty or creative, I swear, my mouth was hanging open the first time I used the Cricut to create my first card. One thing I love about the Cricut Explore Air 2 is that it's fast. Granted, I don't have a different machine to compare it to but I was really surprised that the machine flew through the writing and cutting for the first card I made. If that speed isn't fast enough for your project, there's actually a Fast Mode that can be used with the most popular materials. You can get the same precise cuts from your Cricut at an even speedier rate on vinyl, iron-ons and cardstock when you set the machine to Fast Mode! Something else that surprised me when I was learning all about the machine is all the different materials that can be cut with the Cricut Explore Air 2. 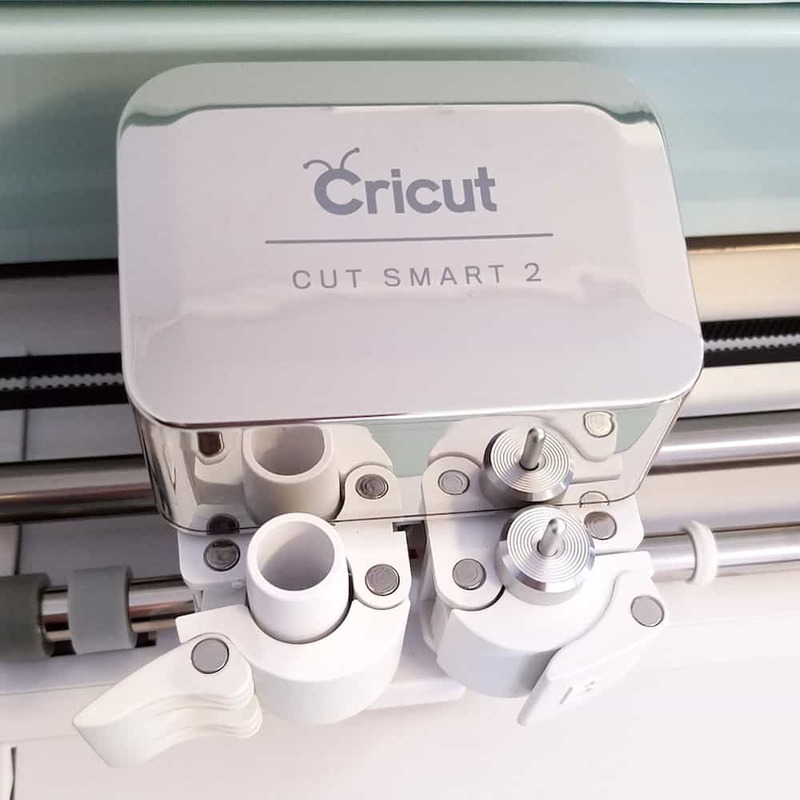 The Smart Set Dial lets you choose what you're running through the Cricut, and it's used to indicate the thickness of the material you're going to be cutting. Poster Board is the thickest material you can select on the dial, but I couldn't stop wondering What's the thickest material Cricut can cut? I'm fairly certain the thickest material a Cricut can cut is wood in the form of chipboard or birch wood. That's right. The Cricut Explore Air 2 can cut wood! Knowing that all of those things and more can be cut with my Cricut opens up even more possibilities for potential projects! Part of setting up my new Cricut Explore Air 2 included installing Cricut Design Space software. I installed it on my Macbook, and there's the same program for Windows. The Cricut Design Space cost is free. There's no charge to use it on your computer or on either of the apps. If you live a mobile life you can also use one of the Cricut Design Space apps, which are available for Apple (iOS) and Android devices. The apps are compatible with both phones and tablets, so there are plenty of options for getting the Cricut program in front of you. 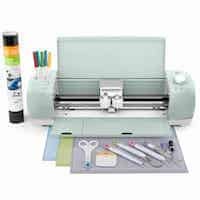 Once Cricut Design Space is installed you have everything you need to create anything you need for your most crafty projects. I've found Cricut Design Space very easy to use. It's sort of like a user-friendly Photoshop (people take classes to learn Photoshop!). 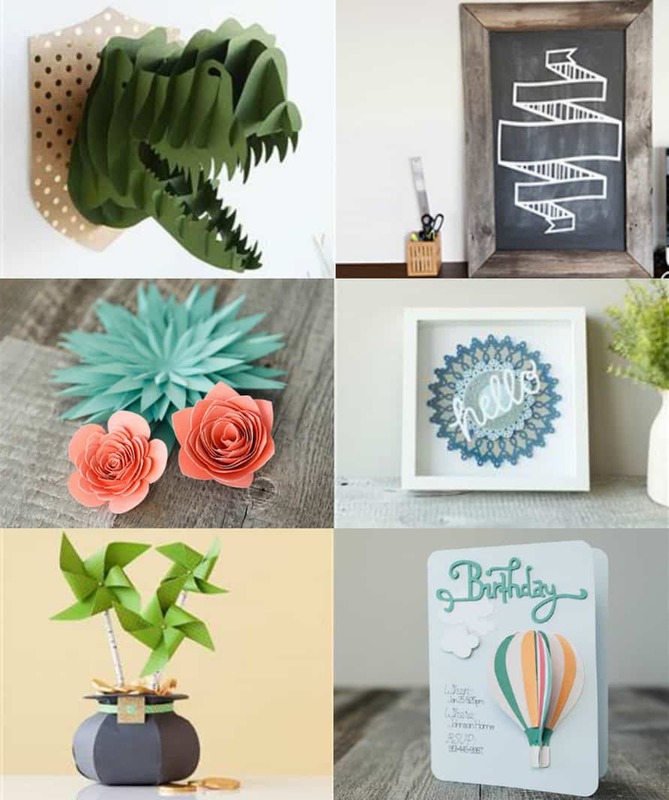 Cricut Design Space allows you to search through thousands of designs and load the one you'd like to make. If you think you'll only pay for designs once or twice a month and you have great fonts on your computer, then you can pay for your designs as you need them. If you find yourself making more than 2 or 3 projects in a month Cricut Access will be well worth the monthly cost of $7.99. This membership lets you use over 370 fonts and 30,000 Cricut images, including exclusive images. 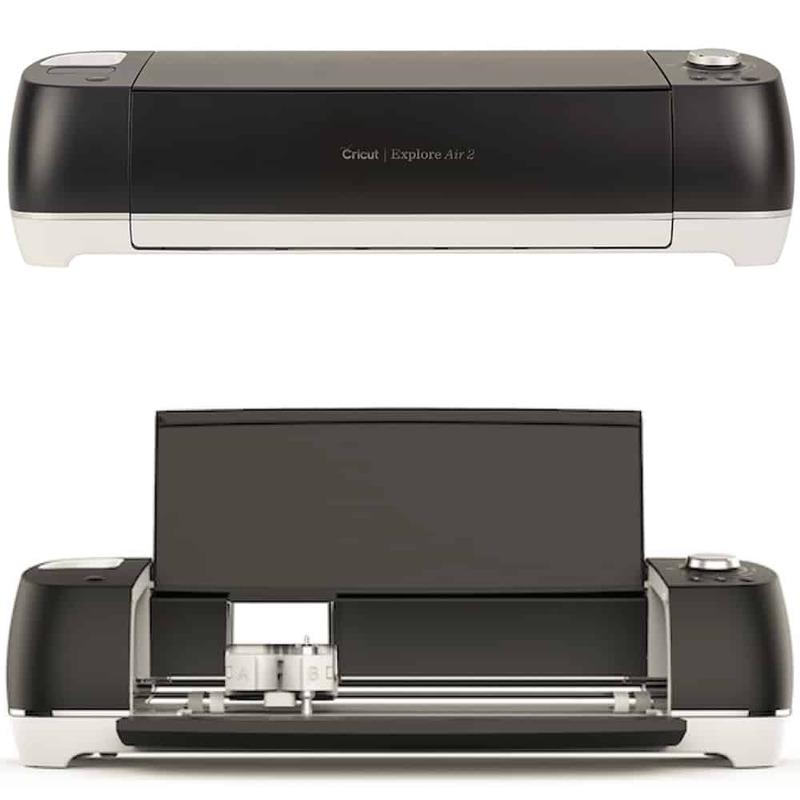 Cricut Access is awesome, it's user-friendly and it makes using your Cricut Explore Air 2 as easy as possible. That being said, if you consider yourself a quick learner and you're open to learning new technology, then you'll love learning how to use the Cricut without paying for the subscription. First, Design Space offers lots of free cuts straight from Cricut. They can change at any time, but you just need to look for Free in the drop down categories within Design Space to find them. You can use all the fonts that are already on your computer (and you can install beautiful free fonts from Creative Market and Pixel Buddha. The selections change every week, so check back weekly!). In addition to fonts, you'll also need images to use in Cricut Design Space. You need to use SVG images (not jpg or png). There are plenty of places online that offer free SVG downloads and Creative Market also offers free SVG graphics that change every week – just like their fonts! It's hard for me to not rave about the Cricut Explore Air 2. I said it before – it actually seems magical when I'm watching it work! The Cricut Design Space App for Android needs improvement. To their credit, the app is in beta. On the other hand, the iOS app has been available since 2015. Cricut needs to get the Android app perfected and released as a solid piece of software. I didn't know the Cricut would feed the cutting mat out the back of the machine as it was working and I set it up against a wall. The crunching and crinkling freaked me out a bit, but I can't complain; nothing was broken or ruined when it happened. Bluetooth: I was only prompted to connect my Cricut to my computer via USB, but I wish I would have been prompted to connect via Bluetooth. Now, I haven't figured out how to do it manually. It's not necessary, but I also can't review the Bluetooth connection process. Cricut Access: It simply bothers me that, after spending $250 on a Cricut users still need to pay for Cricut Access. I do appreciate the free designs, but I don't love that there's an ongoing cost to use most of Cricut's library. If you're seriously considering buying one (and you should!) you probably want to read more than my review. Here are some other reviews for Cricut Explore Air 2 I found around the web. I bought this 3 days ago and am obsessed! I am going to buy more supplies right now to keep going because there is literally NOTHING you can't do with this! It's totally worth every penny! The list of people who want to come over and check it out is crazy! I had previously used the Cricut Expression and let me just say… This has been a major upgrade. I am challenged when it comes to crafting and this breaks things down for me in great detail. Also, I don't get much free time to do projects so the fact that this machine is SPEEDY gives it five stars. I had never used a Cricut before and now that I have I can't figure out what took me so long! The machine functions beautifully right out of the box, the app has so many great designs and is so easy to use that I spent hours making all kinds of things, from iron ons (my favorite) to cards and banners. I have been impressed with the quality of the materials and the machine itself. I have access to a laser cutter but I would honestly prefer to use the Cricut because it is so user friendly. That's just a sample of the reviews on Cricut Explore Air 2 from one craft supply site. After all that, you also have my personal opinion to go on. Want to know if the Cricut Explore Air 2 is worth it? Read my conclusion below. 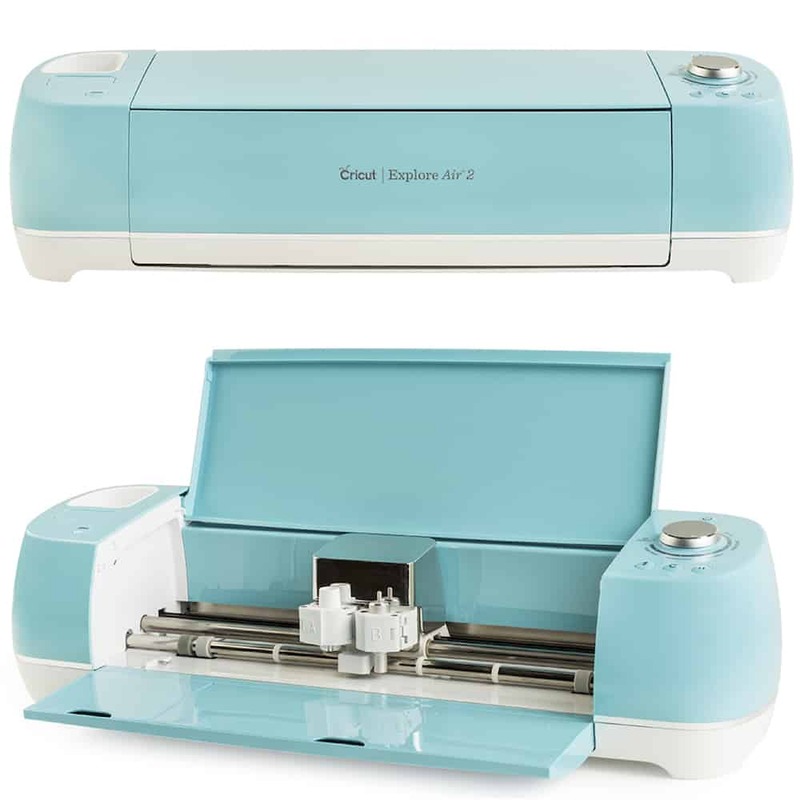 While I really do wish the negatives I listed in my Cricut Explore Air 2 review would be changed, it's pretty obvious that the three things I don't love aren't deal-breakers at all. What can you do with a Cricut Explore Air 2? Take a look! I no longer have to wonder what can the Cricut Explore Air 2 do…Now I can't wait to make projects like all of those in that picture! I never thought I would be capable of doing crafts like that. Thanks to the Cricut Explore Air 2 I'm able to do so much more than I ever thought possible! In summary, if you'r wondering, Is the Cricut Explore Air 2 worth it? or Should I buy a Cricut? My answer is Yes. Definitely yes! Want to start crafting with me? Buy a Cricut Explore Air 2 and show me what you're going to make! This Cricut Explore 2 review was written with thanks to Cricut, who sent me a Cricut machine to facilitate this post. If you're waiting for a deal on a Cricut or Cricut products, you'll want to pay attention during the Christmas season, including Black Friday (and pre-Black Friday), Cyber Monday and Cyber Week! I have been wondering about this. I have an older, much bigger, cricut and totally want this one! I’m totally new to the world of Cricuts so I didn’t realize they had changed so much. I just saw a picture of an older one on Cricut. It was a beast! The Explore Air 2 is super sleek. I’ve had all of their machines and I’m amazed at how far they have come. The Explore is leaps and bounds better then the previous models. You should try it! I need to show this to one of my good friends. She is super crafty, and she’s all about the toys. Well, I’m NOT super crafty and I’m in love with it! I can’t even imagine what a crafty person with talent could do! You can do so many cool things with a Cricut machine. I have always wanted one! I owned an original model Cricut and absolutely loved it. I can’t believe it can cut things like tissue paper and foil now! I have been wanting to try a Cricut machine. There are so many projects I want to do with it. I love the gold one. I would want to have my own Cricut! I am not crafty too, maybe because I don’t have the right tools. But with a little imagination, I think I can work my way and create beautiful crafts! Looks like a fantastic product! I definitely need to get one. I love making crafts. I feel like I am the only one in the world that does not own a Cricut, look like now is the time to finally go for it and just get one. Love the color options. The color options are amazing. I love seeing them all lined up in the picture! This looks like a creative tool. I like the way it works/what you can do with it. I am not crafty but my kids love to make crafts and are very into tech gadgets so I know they would love The Cricut for all their school and crafty projects that need special cutting skills. I’m not crafty but I’m totally into tech gadgets. The Cricut bridges the gap between the two! Oh MaryBeth this is so COOL!! I’ve been wanting one of these machines but couldn’t decide which brand. Great post!!! looks like i have to get this cricut machine! i have heard about this a lot! thanks for the review! I had only JUST started paying attention to what the machine was and what it could do. I’m amazed at its capabilities! I have been thinking about getting a Cricut. Thanks for the awesome and honest review! Can you design your own items on the app to print/cut? Yes. I’ve done this a lot! Hi. I have one of this and cricut gave me a couple links wich contacined a list of free images and projects avialable with the purchase of the machine. I was using them really ofeten and had them saved on Chrome. Unfortunaley my husband lost this links when he changed or PC. Do you know what links am I reffering to? Would you please share them with me if you have them? It was two diferent links with the picture of the image of project along with its code to find it on the design space. These look very useful and intuitive. I will have to do some additional research on the. Great post. The software and the machine itself are both very intuitive. I don’t think Cricut owners would be so passionate about them if the machines were difficult to use! I have actually been looking for a circuit machine. I am really excited that I stumble by this one. It’s absolutely one to look at. There are so many features – it can do amazing things! Hi Zena! You can do both with the Cricut Explore Air 2. What an amazing machine this is! I could definitely find some use for it in my home. It sounds so remarkable. I would like to try one. I’m amazed at all the uses for it! I can’t wait to share more about what I’ve been using my Cricut Explore Air 2 for! I have an older Cricut that I have used time and time again. I do love it, but I’m eyeing your new machine with envy. I’m wishing I would have had this a few years ago. I’m imagining all the projects I did by hand! I’ve have been wanting one of these machines forever. Now I feel like it’s an absolute must to have! I’m going to check this latest version out! It really is if you have any crafty needs or intentions. I’ve been using it every day! HI! 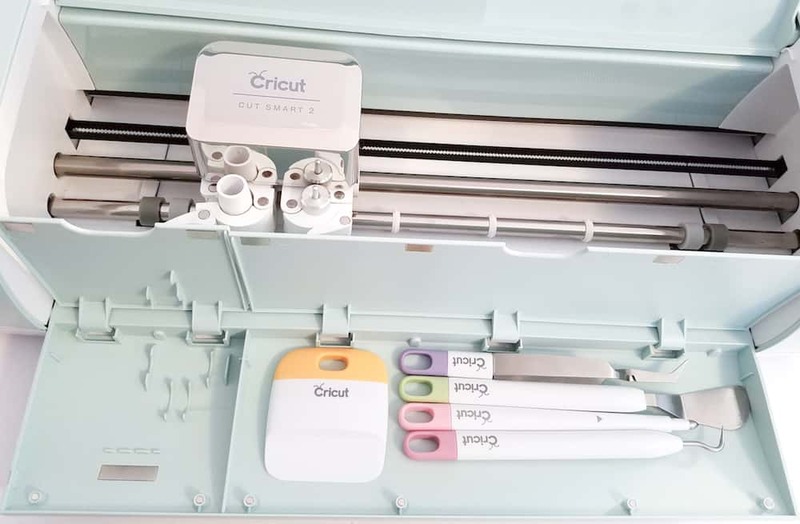 Can this cricut explore air 2 be used for cutting edible products such as gumpaste, fondant and sugar paper? Thank you! According to Cricut’s help page it’s not designed for food safety. However, there are some hacks if you google How to cut fondant with a Cricut 🙂 Just note that you’d likely void the warranty if you used the Cricut Explore Air 2 to cut a material that’s not on the approved list. Back in the day there was a Cricut machine just for cutting for cakes. I doubt there is that big of a difference. I bet it would work but would probably void the warranty. I would research the Cricut cake machine and see if you can tell what the difference is. Maybe a different angle on the blade and a mat without adhesive? You could make it work I’m sure. I have always wanted a Cricut since I am a scrapbooker and now planner. I didnt know this Explore Air 2 was on the market it looks beautiful. Cant wait to see some of your creations. I’ve been having a blast with it! I have a ton of ideas for posts with my newest Cricut projects! I am new to Cricut as well. I’ve crafted but cut by hand and thought this would be perfect. After a month, I’m stuck and can’t find anything on my problem. My print and cut does not work. I print the project out but when I send it through the Explore Air 2, the cut is WAY off, by over an inch. When I tried the calibration, when Cricut Design sent it to my printer, the calibration sensor marks are off the top of the page. I can’t figure out why the alignment between the Design Center, my printer, and the cricut itself, is so far off. So that’s where I’m stuck, I see information on running calibration but not when the sensor marks are not even in the right place on the page. 🙁 Disappointed and hoping I didn’t spend all this money and can’t get it to work. I’m so sorry you’re having trouble. I have no experience with the Print then Cut feature but I’d be so disappointed if it wasn’t working! I would call Cricut customer support ASAP at 1-(877)-7CRICUT or chat with them online here. I’m sure you and Cricut can figure it out together. Good luck! I bought the Cricut Air 2. I previously had a Cricut Expression. I absolutely love the Air2. I do a project on my iPhone and the Cricut cuts it out! So simple! So user friendly! Love this machine!!! I bought it at JoAnn Fabrics. I still haven’t gotten used to the phone apps but I just love the Cricut Design Space on my computer. I’m so happy with it! I am interested in doing the vinyl to print sayings on boards would this be the machine that I am looking for? So many people have told me about the Cricut and the Silouette that I’m confused on which machine to actually purchase! I love this machine too! Those pastel colors make me want to have the machine in each color! I mostly use mine for scrapbooking but found it to be great value! The Cricut Explore Air 2 is awesome – however, The Cricut Maker blows it away. The price difference is significant – but so are the possibilities. The Maker is in the $400 range vs. $200+ for Air 2. I would highly recommend the Maker for anyone that wants to cut fabric as you don’t have to back it and there are now patterns on Cricut Access. So, if you love to sew, but no so fond of cutting all those pieces…. the Maker is for you! Otherwise, you would have to back the fabric with fusible stabilizer to cut on Explore Air or Air 2. The Maker has an expandable platform – so all the possibilities haven’t even been realized! The blade for fabric is a rotary blade! You can cut a huge realm of things – from tissue paper to balsa wood, deep cuts, detail cuts, etc. The speed is in the ballpark of the Air 2. I have the Explore Air and the speed is ZZzzzzzz. But that is a minor complaint. If you are not looking to go much further than vinyl and paper cutting, the bundles for Explore Air 2 are the way to go and the prices are awesome. Which cricut bundle did you purchase? Thank you for your wonderful detailed review. 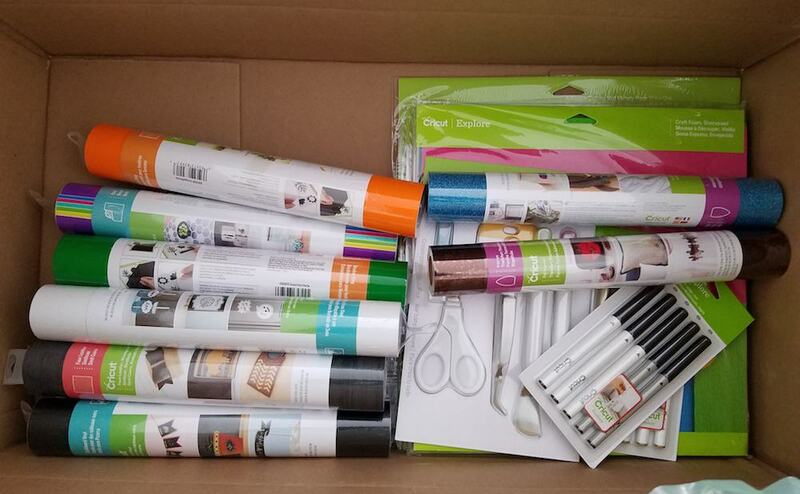 How did you get to be the lucky recipient of a free cricut to review? You’re welcome! 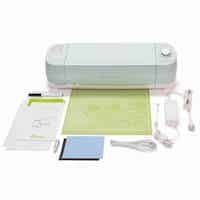 I received the Cricut Explore Air 2 because I write honest, detailed reviews of products I want to try and publish them here on this site. 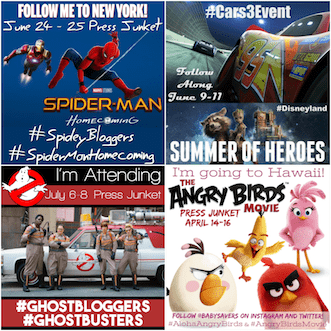 It’s definitely possible to make your invitations but it will also take a good amount of time. If you’re definitely set on an original and unique design, the Cricut is a good way to go. If you don’t have lots of time to spare then it might not be your best option. I DO know that you’d make STUNNING invitations with the right Cricut design and materials. If you do go that route I’d love to see the finished product! I am considering purchasing one of these, I most want to create writing on tee shirts and onesies. Is this the right machine for me? I would also love to write on wood, chalkboard and glass…. This is definitely the machine for you, Francoise! Would this be ideal if you were to use it for t-shirts, hats, and cups? Yes! This is perfect for shirts, hats and cups, plus glass, wood and so many other materials. Can this be use with any computer? Yes, it can. It can also be used with tablets and smart phones! Hi! I did a lot of research on vinyl cutting machines before purchasing my Cricut Explore Air 2, I was doing a lot of hand painted wooden signs and wanted to make it a little easier for lettering. But then I found the many wonderful things this little fella can do! Wow! In just a few weeks, it has paid for itself with just doing vinyl decals! Have you tried the Silhouette CAMEO? If so what are the differences? I just picked up my machine in a beautiful Wisteria color. It was bundled so I will have all sorts of things to play with this weekend. I also got it at almost $100 off at Joann’s. Can’t wait to play! Thank you for all the wonderful information. I am excited to start working with my Air 2.
question , in the bundle rolls is it a full roll of product or is it a partial roll? Question: I do not currently have a functioning laptop. Am I able to create, download fonts and do everything I need to on an iPad? Any down side to just creating on an ipad? Loved your review. I’ve been reading, researching and pouring over info for this and I’m finally ready to take the plunge I believe. Yes, you can do EVERYTHING you need to do with your Cricut on an iPad! You can even do it on an iPhone or an Android phone, but most people prefer using the tablet. Hi, just wondering if you can download your own designs/images to be printed and cut? I do a lot of digital drawings and would like to create my own stickers, iron-ons etc. Hi Karen! You can absolutely upload your own designs to cut or print and cut. I am setting up the device for my wife. I am not happy with the setup process and it took me over an hour to get the unit to be recognized by the computer using the USB cable or the Bluetooth. now I am not a novice with computers and I am the one everyone comes to to add devices printers ect to a computer. Once connected we printed a very basic 15 letters ….. it took 10-12 min to cut …… for me I would send it back but my wife says I am doing something wrong …… hope she has better luck since she is not a tech person ……. I give it 2 out of 5 stars ……. That doesn’t seem right at all! I advise you to contact Cricut support at 1-877-7CRICUT to get their technical help. Thank you for this review. First I want to say that I am French. I add to your negative points the Cricut customer’care when you are outside their « preferred « ‘countries I.e USA, Canada and UK. I bought my Air 2 from Amazon France. On the 3rd days the machine did not load the mat anymore and while attempting to to load it was making a terrible noise. I sent 2 videos at the request of a person on the chat website of Cricut. After one week, no news of any kind to sort my issue. I contacted Amazon and I will get an exchange of machine soon. Meanwhile I found that mat loading issues are quite often. Fully with you regarding the library particularly that when you are out of the 3 countries mentionned before you cannot subscribe at all. The system does not accept your foreign credit card. Considering the price of the machine it would be nice to have reel’free designs and not designs that will become payable after a while. A more responsive customer care would also be nice. Now the very little I used the machine, I found it tremendously good. The cut was clean, sharp and precise so look forward to get my exchanged machine, hoping no more technical issues, and explore it. Omg!!!! I don’t know why i am waiting for… i have to get me one!! A very good thing! And I really like the color and design. Very nice thing, I have such vinyl cutter and I am very satisfied with it. But yours looks really great in the interior. Is this machine good for cutting patterns to use for making T-shirt’s with rhinestones? What are the advantages ? Thank you for this! You answered many of my questions! One more question, I see people make things with NBA logos or Professional football teams… how do I find stuff like that? Is if files i need to purchase? Hi. I would like to print t shirts that I design. Is it possible to create a design and get the machine to cut it out. Most of my designs are stencils I’ve found and copied to paper. Yes, it is. 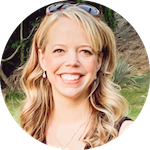 You would need to scan your images (or digitally recreate them) in PNG, SVT or an image format that can be used in Cricut Design Space. When you have that you can easily cut it out of vinyl and transfer it with an iron or heat press. wanting to be able to do some applique work. My question is does this machine cut out fabric? Yes it does, but you need to stabilize it with a fabric stabilizer first. If you’re looking to cut out fabric on a regular basis for sewing, you should consider a Cricut Maker instead.